VersaSense is proud to have been included in the select number of thought leaders asked to contribute to the Industry 4.0 add-on special to the September 2018 edition of Trends magazine. 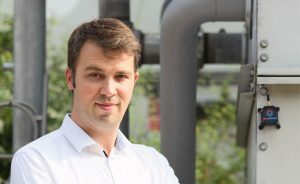 On page 15, under the heading of “Industrial IoT provides tremendous opportunities” the interview of VersaSense CEO and Co-founder Nelson Matthys details the pitfalls of Industry 4.0 and how to get the maximum benefit from it. The article also lists a number of specific use cases. As a spin-off of the imec-DistriNet research group at the University of Leuven (KU Leuven) and as a rapidly growing, young start-up, VersaSense is proud to be recognized as a leader in powering the 4th industrial revolution.